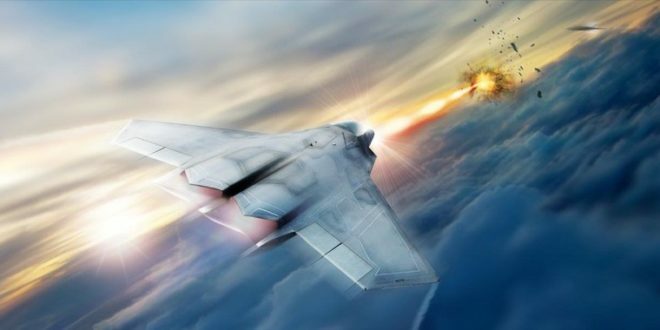 Lockheed Martin Laser Advancements for the Next-generation Compact Environments (LANCE) Air-to-Air/Air-to-Ground Fiber-Optic Laser Weapon System for Supersonic Fighter Jet Aircraft: 60-Kilowatt+ Aero-adaptive Aero-optic Beam Control (ABC) Laser Weapon Turret by 2021? | DefenseReview.com (DR): An online tactical technology and military defense technology magazine with particular focus on the latest and greatest tactical firearms news (tactical gun news), tactical gear news and tactical shooting news. 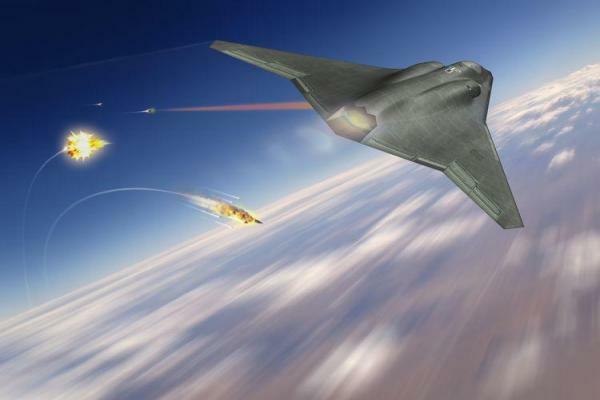 DefenseReview (DR) has been discussing air-to-air laser weapons for fighter jet aircraft since late 2013, when the US Air Force put out a solicitation for “Lasers Systems for Future Air Dominance Platforms”. Well, according to a recent Daily Mail article it would appear that the US Air Force is now on the cusp (or at least close to it) of actually testing such weapons on its fighter aircraft. The Air Force Research Lab (AFRL) has awarded Lockheed Martin $26.3M (Million) to design and develop a “directed energy system for aircraft”, i.e., a laser weapon system, called LANCE (Lockheed Martin Laser Advancements for the Next-generation Compact Environments), as part of its Self-protect High Energy Laser Demonstrator program. The contract doesn’t exactly surprise us, as DR reported on the rather impressive-seeming 30-kilowatt Lockheed Martin Aero-adaptive Aero-optic Beam Control (ABC) laser weapon turret for supersonic jet fighter aircraft in October, 2015, and were impressed with it, at least on paper, conceptually. It would seem logical that an updated and upgraded (more advanced and powerful) variant of the ABC laser weapon turret, perhaps a 60-kilowatt model, will be what Lockheed Martin eventually fields for Air Force testing and evaluation, since Lockheed already has a 60-kilowatt fiber-optic laser weapon system under development for ground vehicles, as we’ve reported, as well. Since the Air Force’s testing target date is sometime in 2021, it’s possible that the Lockheed Martin LANCE test prototype could be a more compact and lightweight version of that system. A manufacturable operational 60-kilowatt air-to-air/air-to-ground laser weapon system would be a pretty impressive achievement, however the question is, is 60 kilowatts enough to disable an enemy fighter aircraft (or bomber) AND even light-armored ground targets with the same speed as a 20-30mm cannon system? Or, do you need to go to 90-100 kilowatts or more to achieve that level of performance? How much power would you need to quickly penetrate a modern main battle tank (MBT) from the air, say from an altitude of 10,000-30,000 feet while traveling at various speeds, and shooting frome various angles? Defense Review doesn’t know. So, we’re going to research it. © Copyright 2017 DefenseReview.com. All rights reserved. This material may not be published, broadcast, rewritten or redistributed without receiving permission and providing proper credit and appropriate links. Previous: DryWired Emotiv Insight 5-Channel/Sensor and Epoc+ 14-Channel/Sensor Lightweight Mobile Wireless EEG (Electroencephalogram) ‘Brainwear’ Headset Systems for High-Speed, Low-Drag Brain Wave Monitoring: Can They be Integrated with a Military Ballistic Combat Helmet? Next: Happy Veterans Day 2017 from DR!